St. Mary School has been educating Catholic children in Delaware County since 1860. 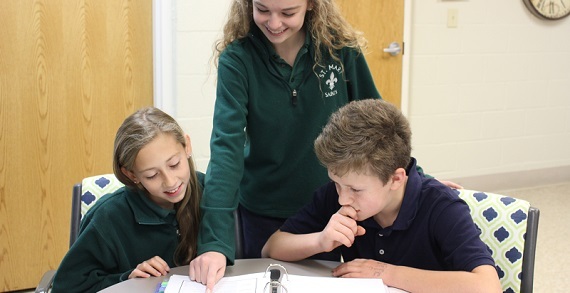 Uniting the traditions of the Church with current academic practices, the private school provides students in preschool through eighth grade a parochial education at a fraction of the cost of most other private institutions. Accredited by the State of Ohio and under the direction of the Diocese of Columbus, St. Mary currently enrolls more than 300 students. The student to teacher ratio is 14/1. Its fully licensed staff participates in monthly professional development and works to individualize instruction for their students. St. Mary School welcomes all children to attend and learn in this caring, nurturing, and innovative environment. Students participate in service projects both at school and through the parish. 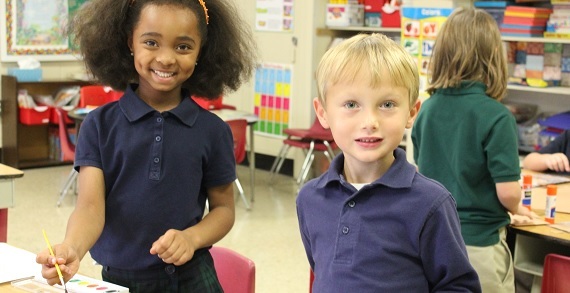 St. Mary School provides many opportunities for students to practice their faith through daily prayer, mass, the sacraments and in their daily lives. St. Mary School is a EdChoice Expansion Scholarship and Jon Peterson Scholarship provider.